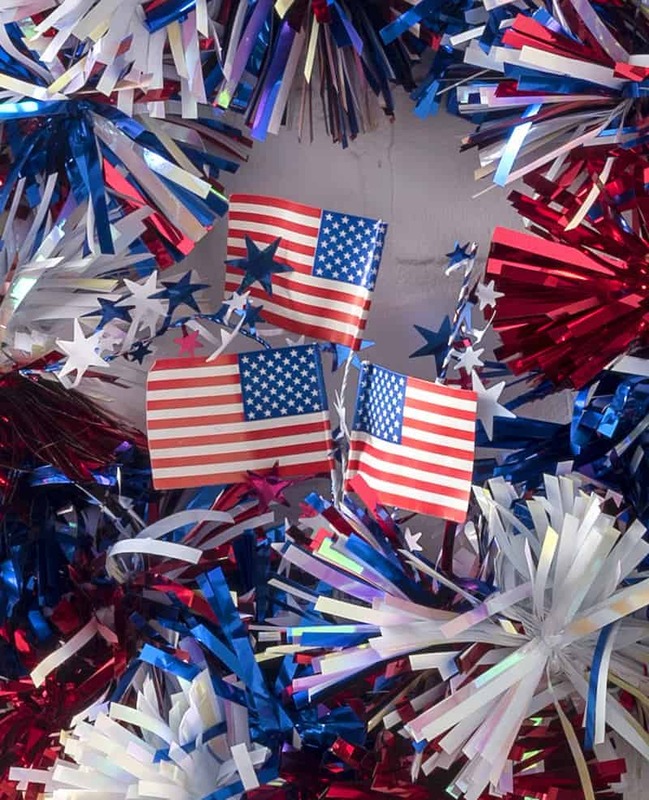 Looking for patriotic inspiration? 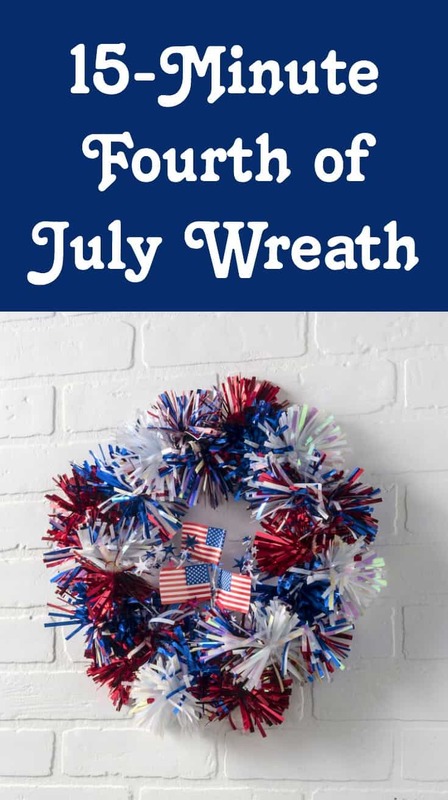 Make this “firecracker” themed Fourth of July wreath in 15 minutes flat! It’s really easy and anyone can do it. I have to say, when it comes to holiday decorations, wreaths are my absolute favorite – hands down! I especially love it when a wreath can be made in just a few minutes. I know some people spend a lot of time making wreaths and the results are gorgeous . . . and I’ve done that too. But sometimes I challenge myself to make a wreath as quickly as possible, just to see how fast I can do it. 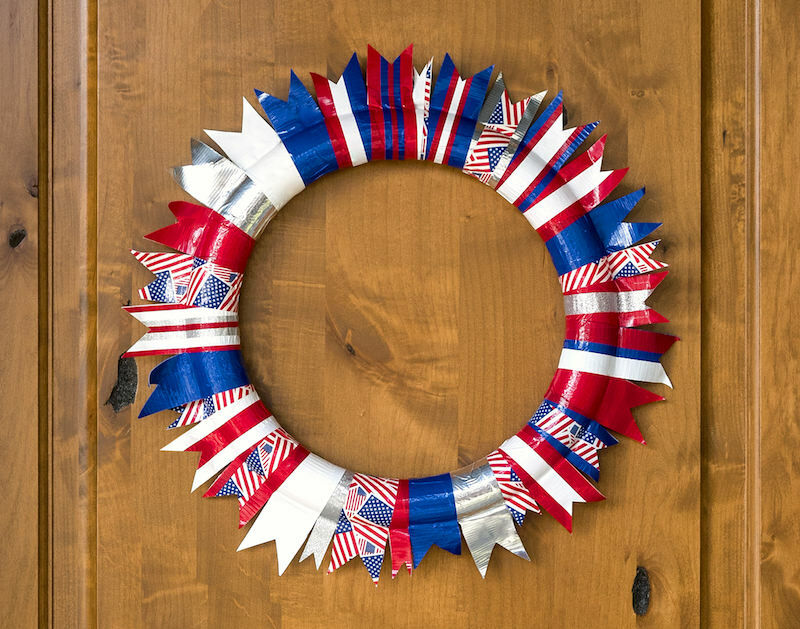 That’s how I created this 15-minute Fourth of July wreath. Doesn’t it remind you of firecrackers? Me too! And I made it with supplies from Michaels! 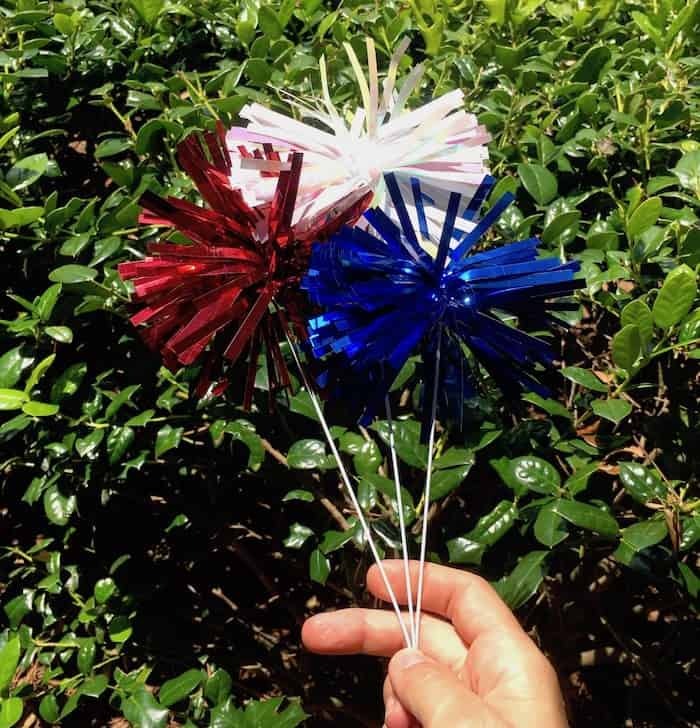 Looking for more patriotic DIY inspiration? 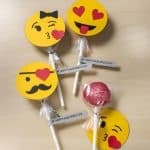 Visit Michaels.com for more creative ideas. Can you believe how few supplies you’ll use? Yes, this is it! That’s where the wire cutters come in. You’ll cut each individual “spray” off the set of three, toward the bottom, using the wire cutters. They are very easy to clip off. 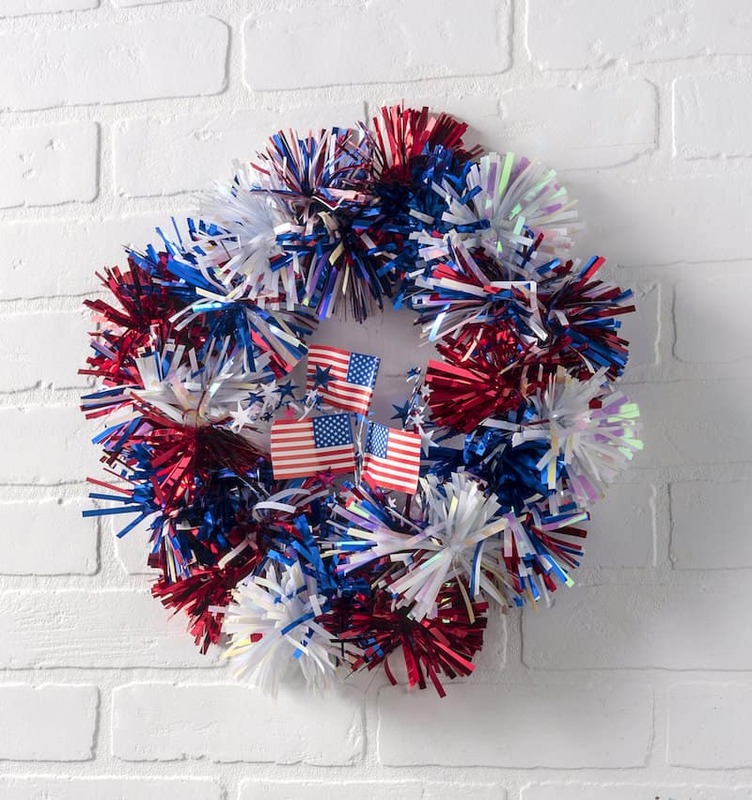 Then, holding the pom part to the front, you’ll bend the white wire around the green wreath form. It’s very easy. While there’s some resistance from the wire, you don’t need Hulk-like strength to do it. Just grab and wrap as shown. 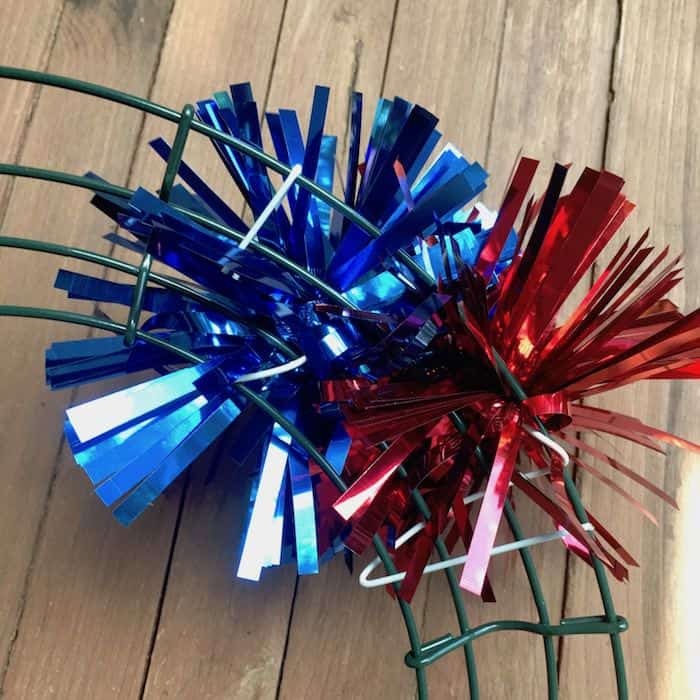 When you flip the wreath over, the poms will look like this. You’re going to put enough on the wreath so that it fills the frame and covers the wire. It took me 24 poms. You’ll then do some “fluffing” with your hands! Once you’re done, make sure all the wires are tucked in. 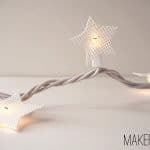 Flip the wreath frame over and work on tucking wires into various places so you don’t have them flipping out. If you have some short wires, you can always secure with floral tape. I didn’t need it. 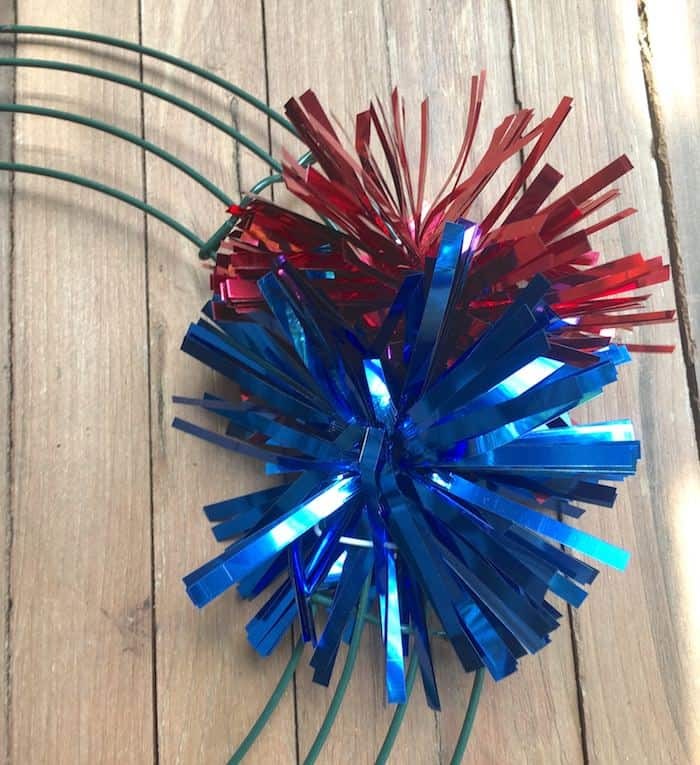 I used the foil sprays that have one red, one white, and one blue as well as the sprays that have red/white/blue poms all in one. Then to finish the look, I used a flag foil spray with stars. 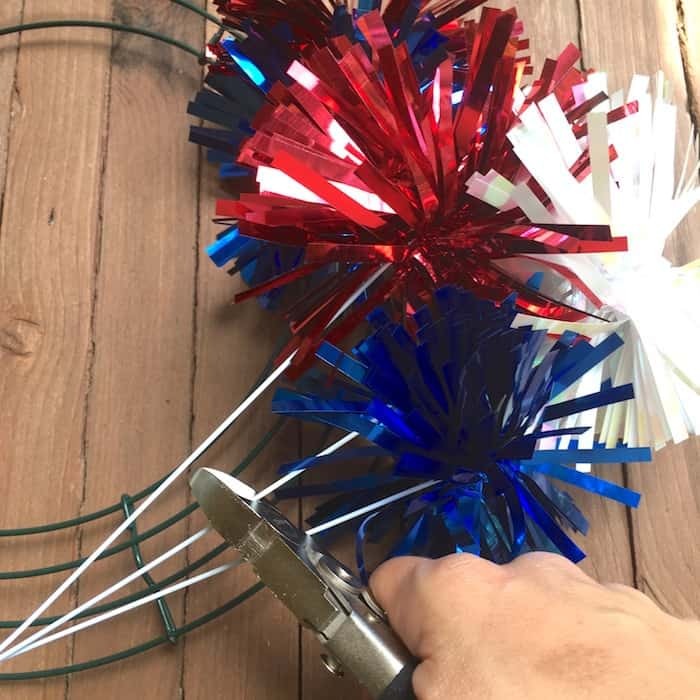 I cut off three flags and a few sets of stars with the wire cutters, wrapped, and stuck it down into the center of the wreath. Done and ready for hanging! 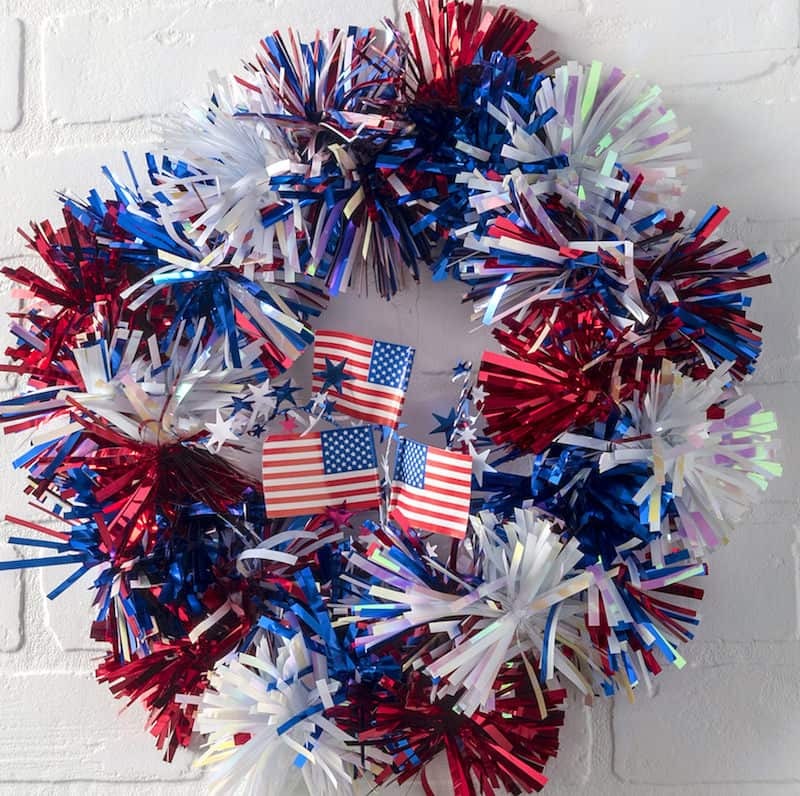 Do you think you can make a Fourth of July wreath in 15 minutes?? I bet you can.